Recently, I took a month off to do the Amazee Extreme Challenge: after 3 years, each of us gets the opportunity to do something we would like to challenge ourselves with. 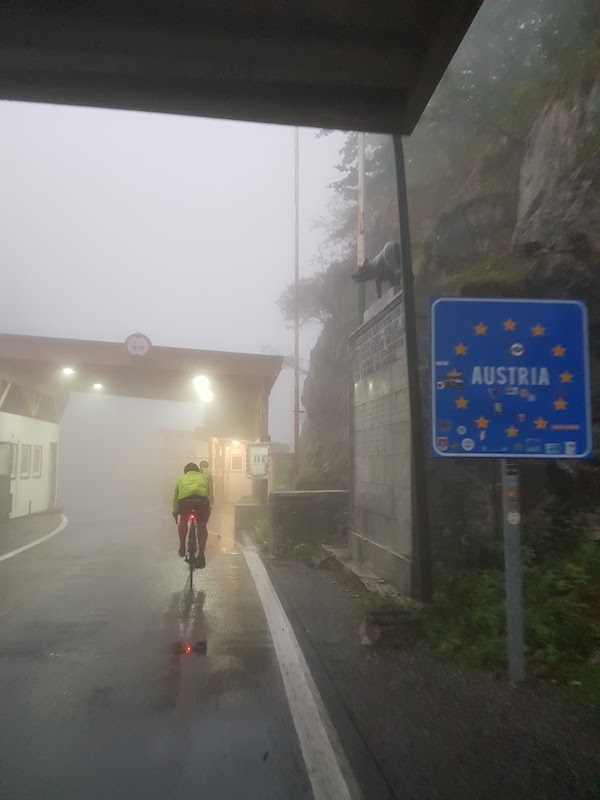 In 31 days, I cycled from Switzerland over the Alps to DrupalCon Vienna. This post is intended to reflect on how my journey went and share some of the experiences I had while riding the DrupAlps tour. Late 2016 I started brainstorming ideas for my extreme challenge. 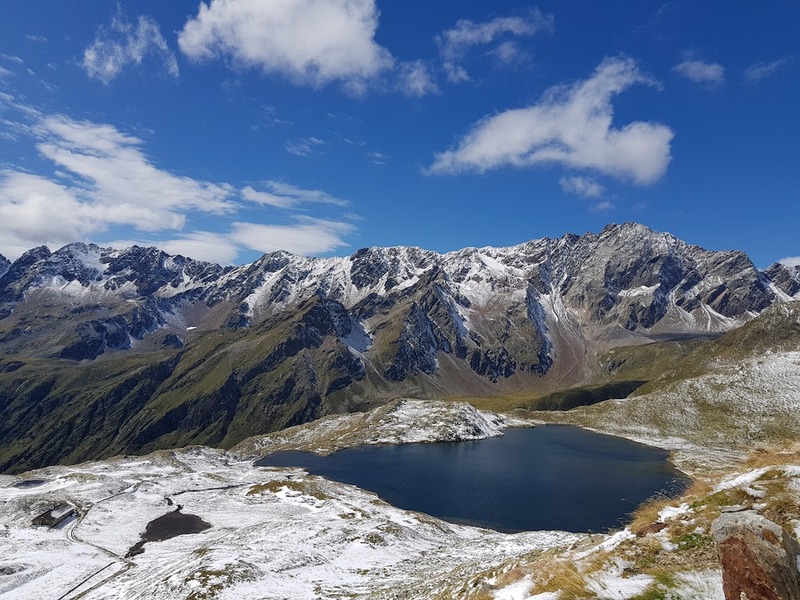 Initially, my plan was to hike the alps from mountain hut to mountain hut. 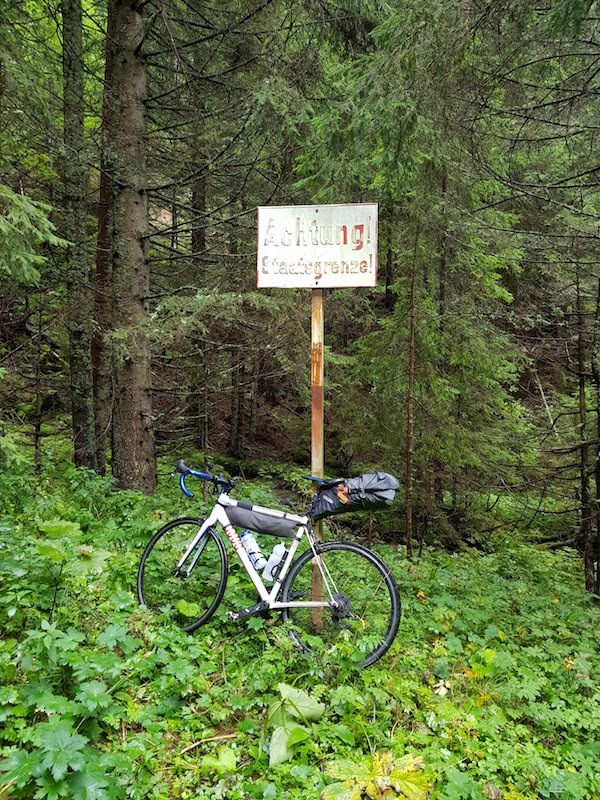 After considering the security risk: being hiking alone in the mountains for a month, I decided to go via bicycle where at least I would be able to get help via paved roads if needed. Being a passionate cyclist, climbing the Alps was a dream for a long time already. How did I plan out the route? Initially it was really hard to tell how much I would be able to cycle. I guessed an average of 80 kilometers per day and around 1500 meters of elevation gain should be fine. 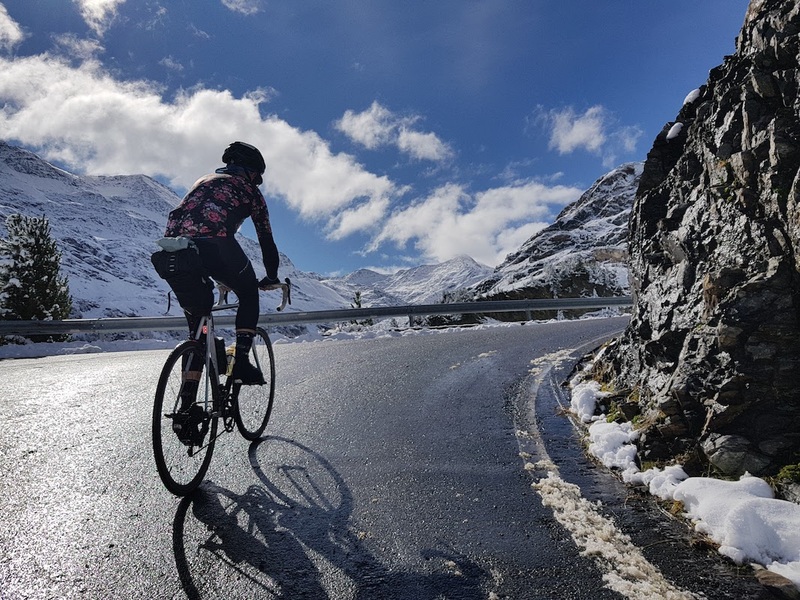 Planning out the tour was really fun - basically, I would try research the most beautiful and challenging mountain passes that you can cycle with a road bike. The quäldich site was a great resource to research challenging mountain passes and I used Strava to put together the route. Over the months of planning and during riding, the tour planning adapted flexibly. A map that compares initial versus ridden planning can be found here. Apart from knowing where to go, I also needed to get in shape and equipped for the ride. 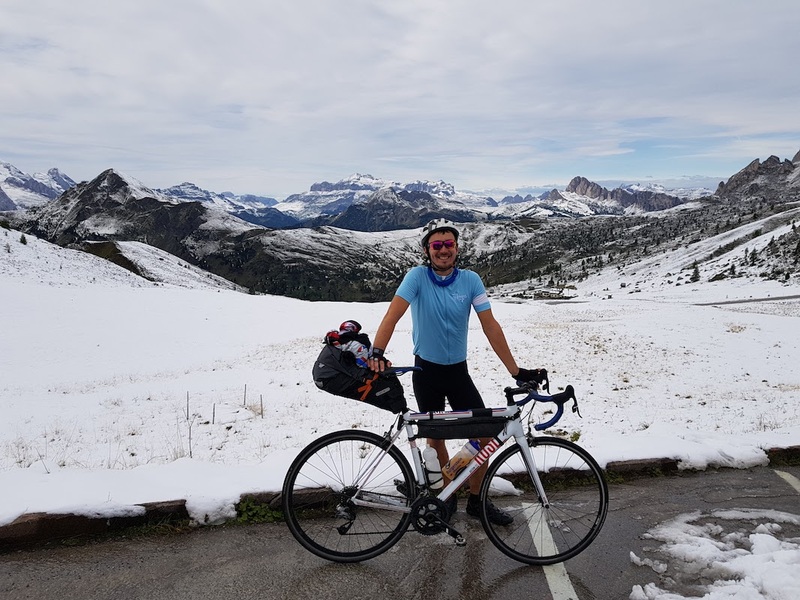 Early 2017 I started cycling the Swiss mountain passes as soon as they opened and was getting more and more experience about which equipment and food I would need during the days. In terms of equipment, I decided to get a race bike (Rose XEON RS-4400) which is really lightweight but still made of aluminium which I thought would be a more reliable material compared to today’s popular carbon frames. As I planned to take all my luggage with me for an entire month and in order to be able to cycle high-alpine mountain passes, I decided to get two compact bags. The Ortlieb Seat-Pack takes up to 16.5 liters and fixates behind the seat post. In addition to that, after quite some research I decided to the custom, tailor-fitted G219 Blade Frame Bag from Wanderlust Equipment. It took me a while to figure out the minimal set of cloths required to keep me dry, warm and adaptable. Weather conditions ranged from between 35 and -5 degrees, sometimes it was sunny, cloudy, windy or just rainy - but in the end, the combination of bags turned out to work out really nicely. As I started to work 80% at the beginning of May, I was able to do weekend rides from Friday to Sunday to get used to the saddle. All the preparations were really helpful but still, there was a great deal of uncertainty as I never had ridden more than 3 days in a row and would be going to ride for an entire month. 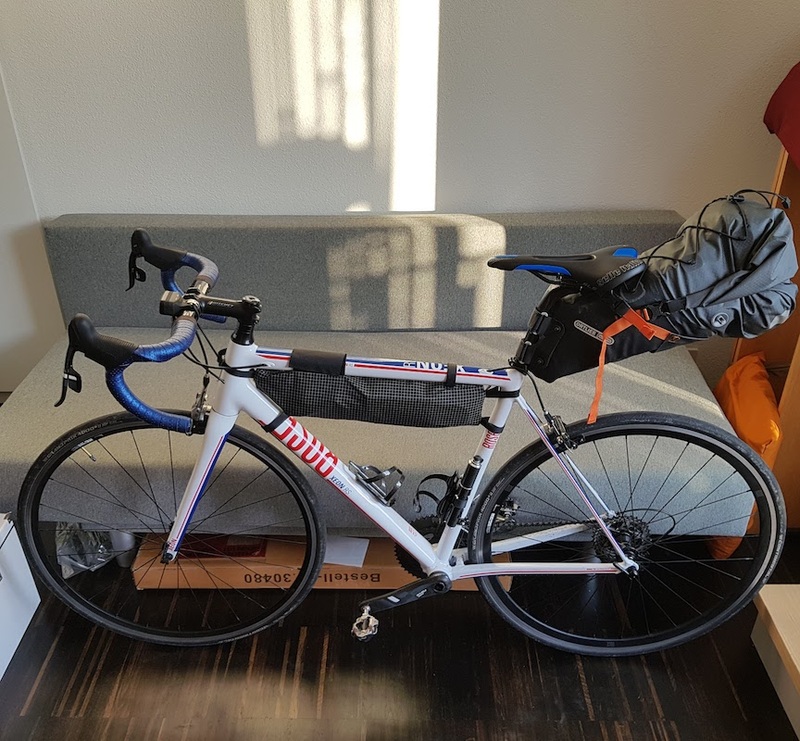 August 25, my bike was finally packed and I was ready to get going. 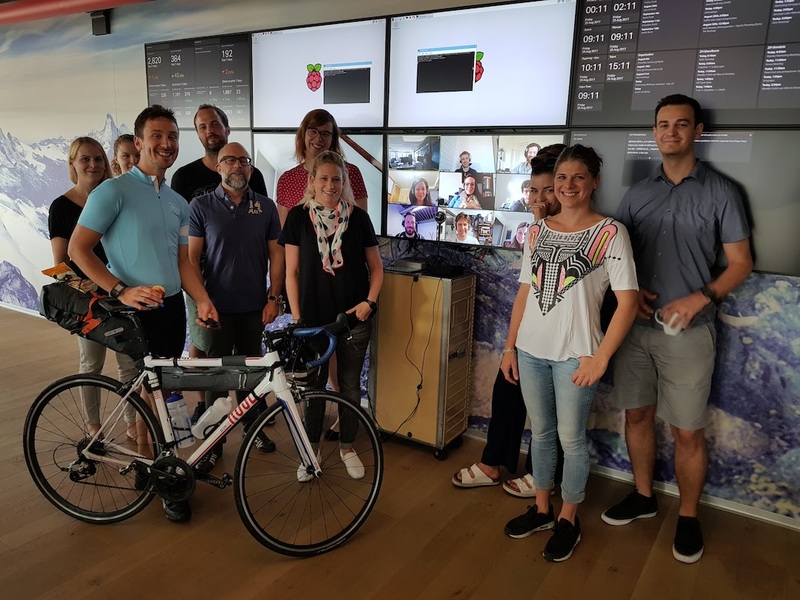 After a lovely breakfast with the Amazee team in the office and with some joining remotely via Zoom, it was time to say goodbye for a month and start the journey. Well equipped with two Rapha shirts - one from Urs for the colder days and one from my girlfriend for the hot days - I was happy to start cycling. I was slowly getting into a daily routine of taking Instagram photos, navigating using Locus map and sharing the rides on my Strava profile. The first weekend was already packed with highlights. 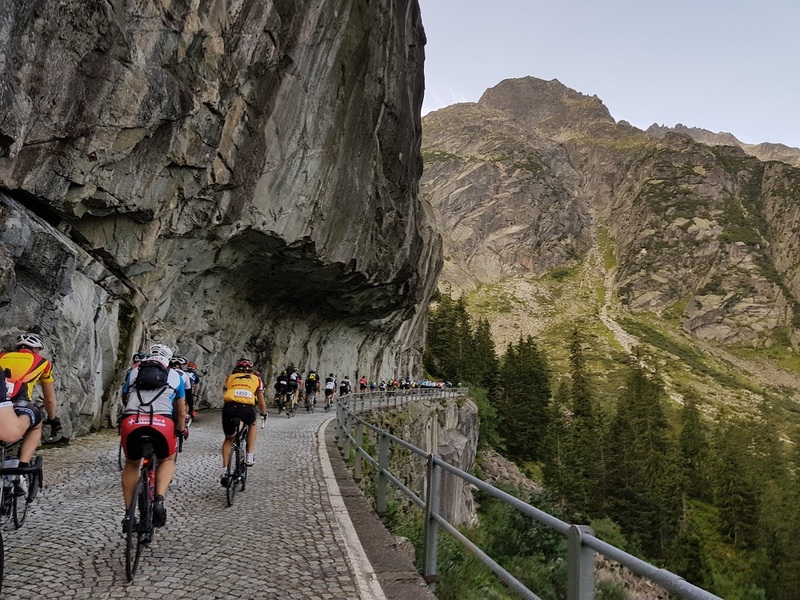 I joined 2000+ cyclists for the minimal version of the Alpenbrevet. I did the bronze tour which covered two passes, while some of the most eager cyclists did 5 passes with a total elevation gain of 7000 meters! After Grimsel, Furka and Gotthardpass I had passed the alps for the first time. 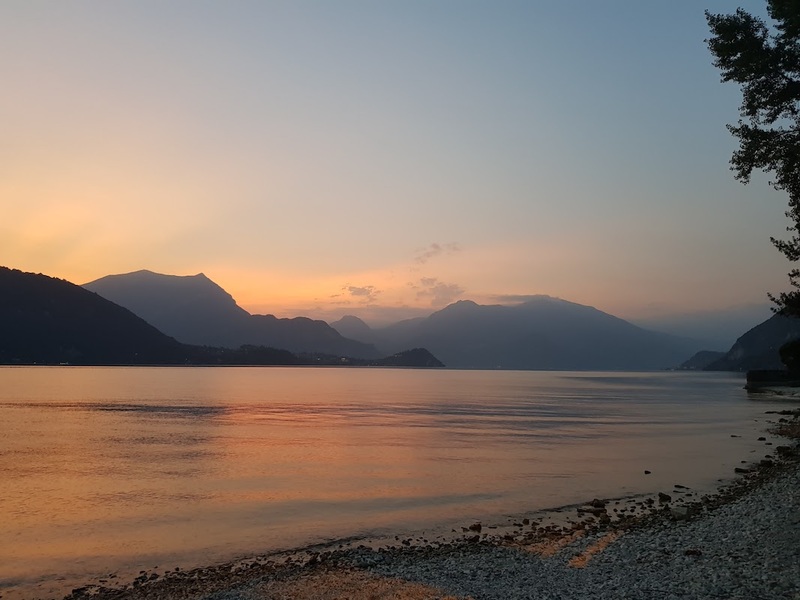 The upcoming days I cycled along the beautiful lakes Lago Maggiore, Lago Lugano and Lago di Como crossing the Swiss/Italian border surprisingly often. Weather conditions were perfect and it was fun to start adapting the route a bit when I had enough buffer time. After a week, the first rain was hitting just in time for a day break near St. Moritz in Engadin to relax and wait for my friend Riccardo Bessone. Riccardo was traveling day and night with busses and trains to get to this place. After a relaxed breakfast and during heavy rains outside it was time for us to take the challenge and go cycling. 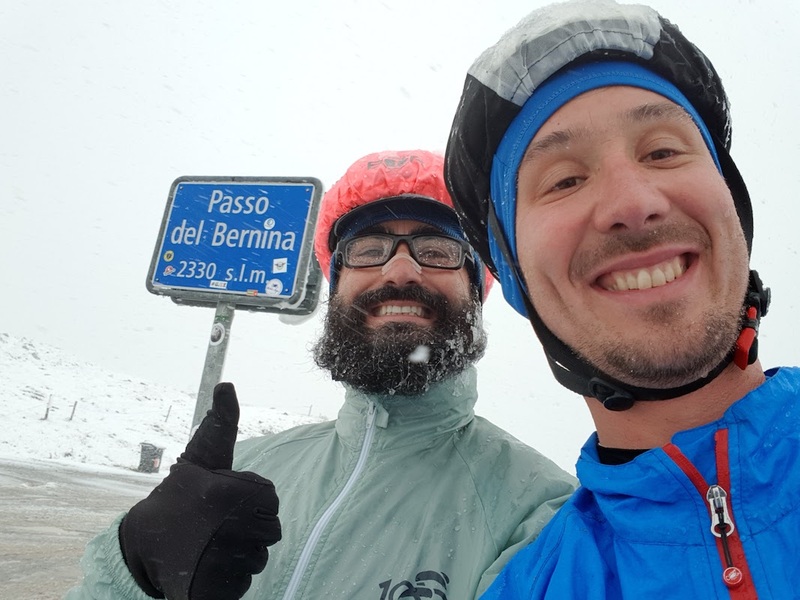 This quite epic ride took us from heavy rains to heavy snow falls up to Berninapass and we were happy to find shelter on our way down where we could warm up the frozen fingers at a fire place and rest a bit before we headed further via Tirano up again to Bormio. 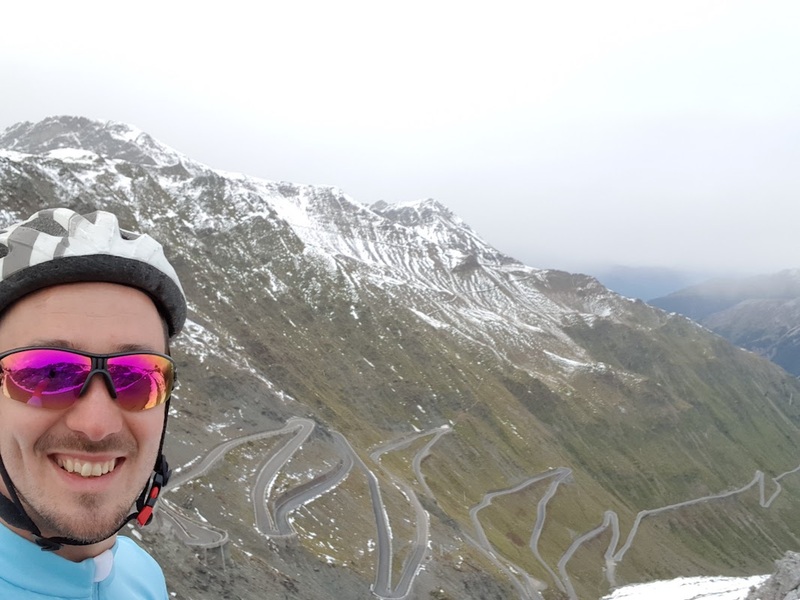 The second day of our shared weekend we cycled the Gavia Pass. Luckily the weather was sunny again, so we could enjoy a scenery full of snow-covered mountains at an elevation of above 2600 meters. Leaving that beautiful scenery behind us, we rode some kilometers further over Passo Tonale into the Trentino valley where I would continue my journey alone and say hi to lots of fresh apples that helped my daily need for calories. Another highlight for sure was climbing Passo Stelvio - with 2757 meters the 2nd highest paved mountain pass of Alps. After a long day of easy riding, I decided to take the climb still around 4 pm in the afternoon and was really happy to have almost no traffic on the streets. Together with some cyclists from the UK, we arrived at the top before sunset and a bit of snow fall started, just in time to find shelter at one of the pretty much empty hotels. While riding I usually was pretty much alone on the roads. There was plenty of time to reflect, do some thinking but I also listened to a lot of Podcasts to feed my brain. 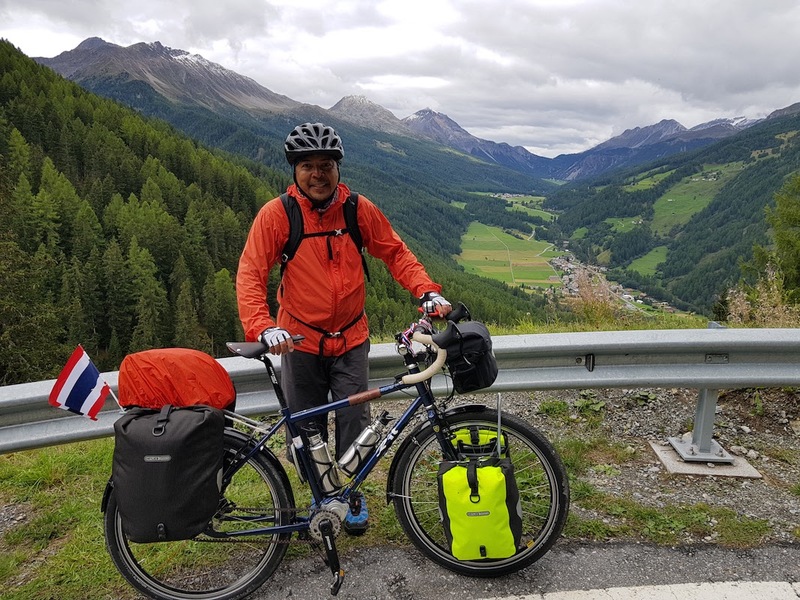 From time to time I would meet inspiring people which did similar long-distance rides, such as this guy from Thailand that tested his bicycle after attending the Eurobike show. Another magical moment was cycling over the Timmelsjoch from Südtirol to Austria. I was able to change my route so that I would cycle the pass already a week earlier from south up north instead of going down via the pass a week later on. On the top of the mountain, the weather changed from being sunny the whole day long into the mountain being covered by a cloud and quite some rainfalls. But it wasn’t too bad, so I kept going slowly and soon could enjoy some spectacular scenery. See the “Himmelsloch am Timmelsloch” as identified by Greg and depicted above. Approaching the end of week 2, my road bike joined me for some off-road action. The Schrofen Pass is popular amongst mountain bikers that carry their bike over the hiking trail. Trying to avoid busy roads in that area and equipped with a much lighter bike I enjoyed carrying my road bike over the pass. 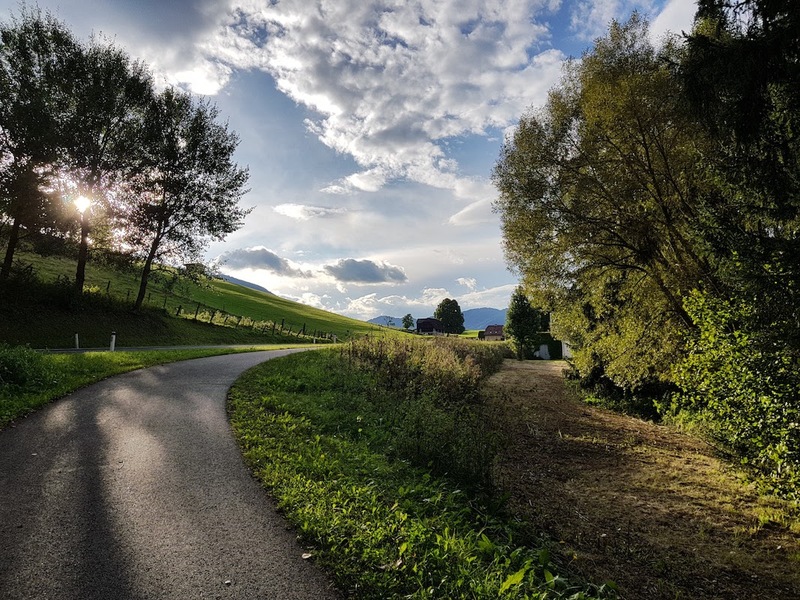 After another break at a friends wedding in Germany, it was time to cycle down to Italy again where I enjoyed some of the most beautiful scenery of the tour. 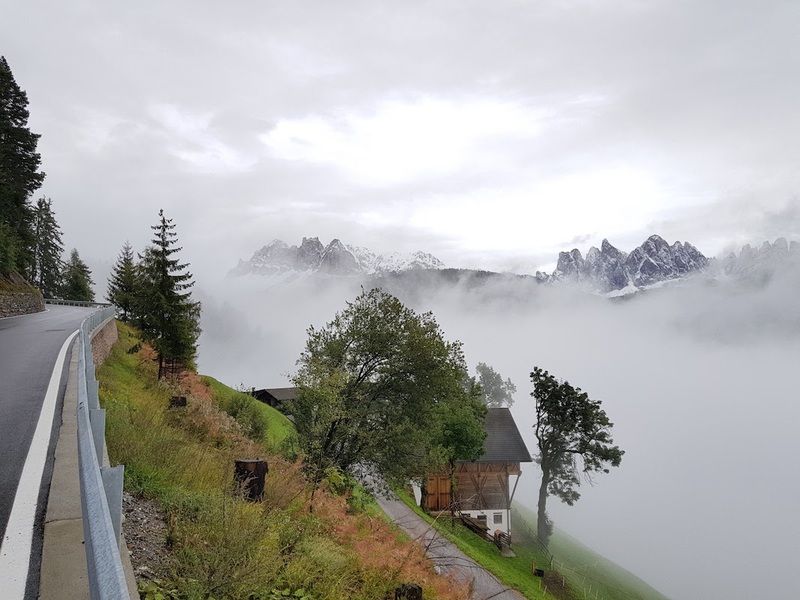 Especially when the clouds disappeared and the unique peaks of the Dolomites started shining through, I know that each single investment into this entire tour was worth the effort. After spending some days in the dolomites, I approached the last week of my tour. My uncle Wolfgang “Radlwolf” Dabernig, together with his friend Kurti would meet me in Italy from where we cycled the Plöckenpass together. 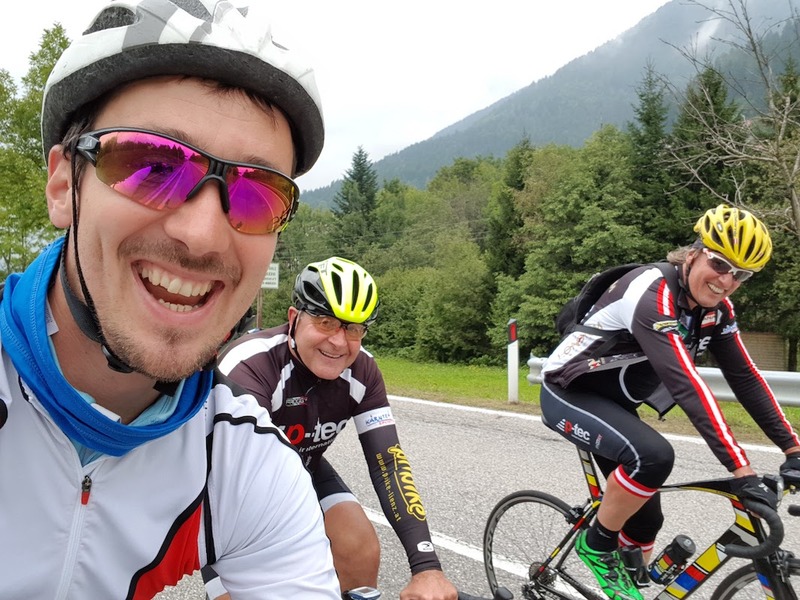 While I enjoyed cycling on my own, trips together like this one with friends and family as part of my tour really where great intermediate steps of my tour as we could share the excitement about the tour and spend valuable time together. Entering Kärnten also meant the beginning of an entire week of rain. Cycling in the rain was tough but I was lucky to have all the equipment and mental health needed to survive even the hard days. As long as you keep moving you usually don’t get cold. Rain jacket, rain trousers, and overshoes plus a warm soup would save my days. 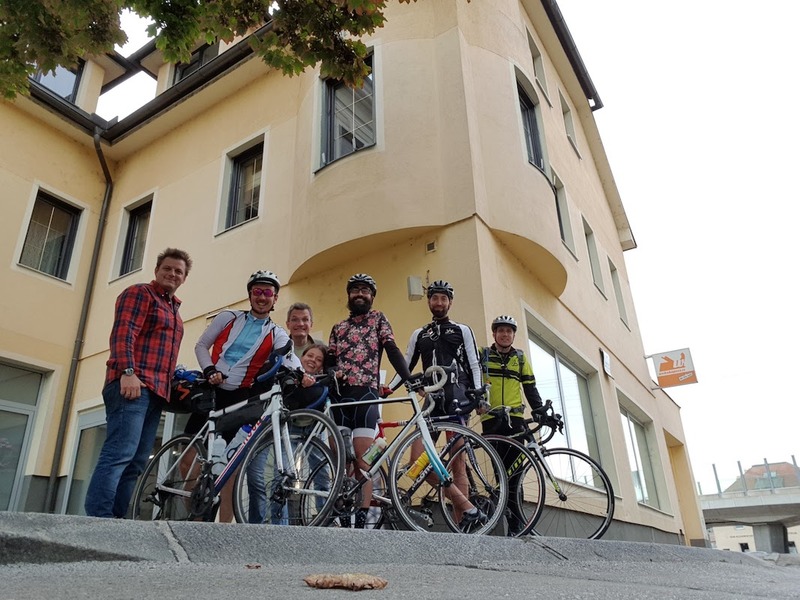 Cycling through the Alps also meant visiting different regions, different countries and getting in touch with many different cultures. I crossed borders 17 times and was happy we don’t have border controls anymore thanks to being part of Schengen Area. It’s hard to summarize the diversity of impressions I had during the tour in a single blog post with a few pictures. What I for sure can tell is that late August to late September turned out to be a great season for cycling. While in the beginning it was really hot and I was glad to take a swim in one of the lakes, the later weeks of the tour turned out to be rather chilly. On the flipside, those early Autumn weeks made for some beautiful visual impressions. From Kärnten I would cycle up to Linz, crossing the Alps for the last time. 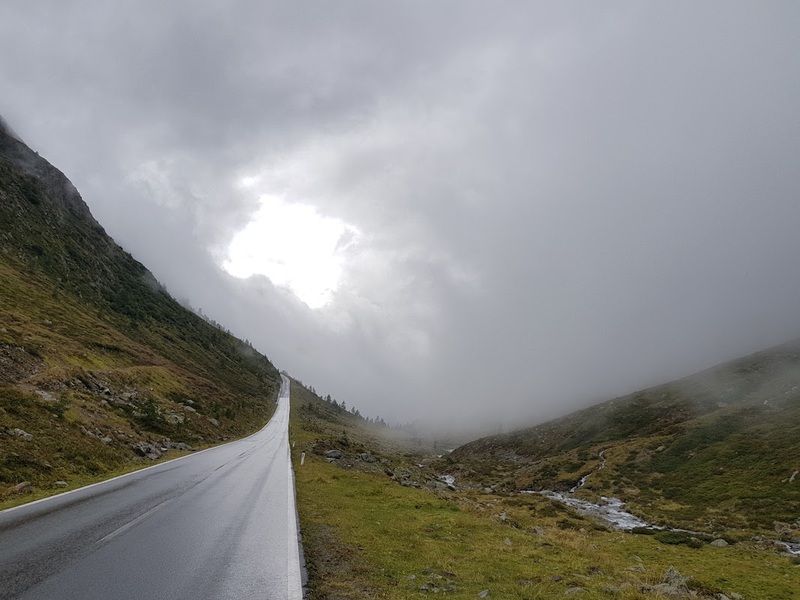 Because of a landslide of the heavy rains, the Sölkpass was closed and I had to take a detour via Radstätter Tauernpass which turned out just fine (and snowcovered) too. 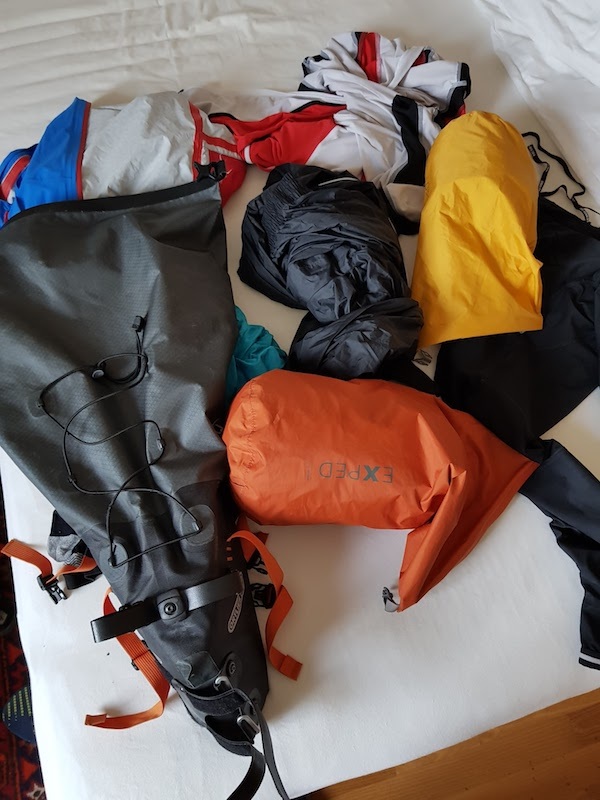 As I was getting closer to my final destination, DrupalCon Vienna, I had gotten into a routine of organizing my day pack of clothes into the above-depicted bags. On the last weekend, Ricardo joined me again to cycle along the danube. After a long day on Saturday from Linz to Krems, the last day of cycling was planned to be a relaxed one. In Tulln, we stopped for lunch at the webshapers office where we met more friends from the Drupal community. Together, we cycled the leg to Vienna and even added in two small extra passes before arriving in Vienna. At the Schweizerhaus, a group of Amazees, DrupalCon attendees, friends and family were meeting us and I was happy to finish the DrupAlps tour healthy and without any injuries. 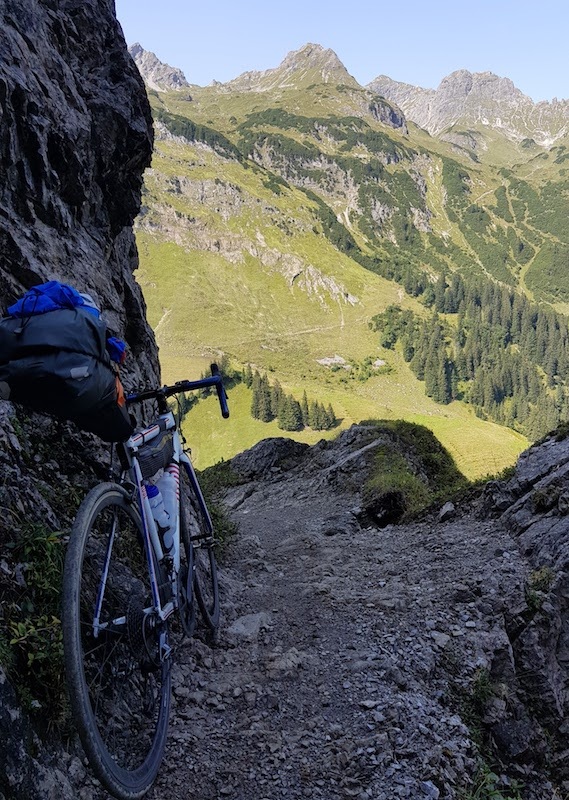 Cycling the Alps for a month was an incredible experience, I can definitely recommend. I think I was happy to not have any major issues along the way and I was also really glad that the adaptive planning of the tour worked out even better than I had hoped for. Thanks so much for everyone who has helped me achieve this goal! Without all the great support that I received, the DrupAlps tour wouldn’t have been the positive experience it has been! What’s next? I am also happy to be back at the office, starting my new role as Agile Consultant with the Amazee Labs Zürich team. In an upcoming post, I will certainly talk more about what’s going on in this area. An impressive achievement, Josef. Thanks for sharing the gist of a month in the saddle! Hope you can inspire the next extremist in our Group - we've definitely got enough bike nuts, - MTBs and roadies. Glad to read! Any details you would like to share about your upcoming trip? I always like to read stuff like this which had shared here. So after enjoying my new york to niagara bus tours, I will read it.